Celeste Glass, founder of The Fortunate Glass, opened the doors this week to her newest project, The Second Glass, next door to Satellite Bar and Lounge in the South Front District. Glass opened The Fortunate Glass in 2010 but sold the business to Tom Noonan in June. While she was not seeking a buyer at that time, when an offer was made, she decided to sell and focus her attention on The Second Glass. 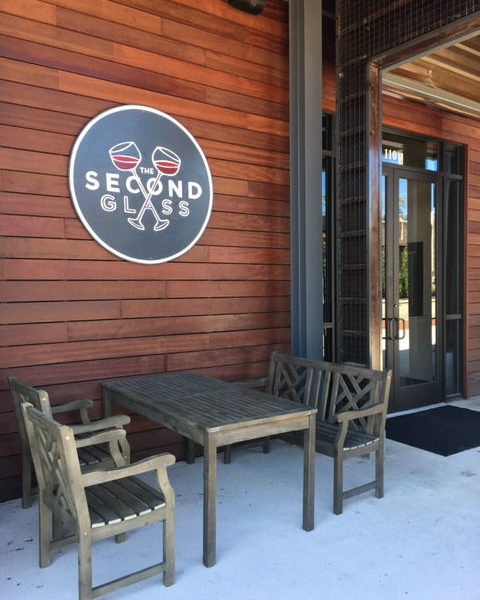 Glass signed on for The Second Glass in May of 2017, and has worked closely with Tribute Properties, developers of the South Front District, on the design of the new wine bar. The Second Glass features a large bar area, with a large partition separating it from the dining area. This setup, Glass said, will allow for a separate space for private parties, tastings and winemaker dinners. A temperature-controlled wine cellar is visible from the street as well as the entrance and will house nearly 1,000 bottles of wine. Another 800 bottles will be kept behind the bar, accessible from a custom-built sliding ladder. In addition to wine, which is served in Riedel stemware specifically designed for each varietal, guests will find six to eight seasonal signature cocktails, a full bar, eight rotation draft taps and around thirty bottled and canned beers. Chef Ryan O’Jampa has been busy creating a menu that will include everything from small bites and plates to full size entrees. In addition to cheese and charcuterie, the winter menu will include specialties such as lamb shank, hanger steak, homemade gnocchi and speckled trout. O’Jampa is working with local purveyors to provide the freshest local, seasonal ingredients, Glass said, and will be changing the menu seasonally. Holiday gift certificates are available as are retail bottles of wine, and Glass is always open to working with guests to create unique events for any occasion and budget. Glass said she plans to begin scheduling wine education events, winemaker dinners and pairings at the start of the New Year. Full story on Wilmington Biz.